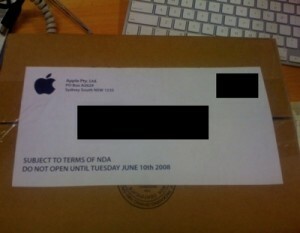 Mysterious Unmarked iPhone Shipments? Last Minute iPhone Case Modification? It seems like the rumors are exponentially increasing at this point. With WWDC just hours away, the rumor mills are in full force. When Forbes editor Brian Caulfield made a visit to Quanta Computer distribution center Wednesday night, he was greeted with a host of shipping related activity. Outside the 168,000-square-foot facility; Brain was met with palettes of both white iMac boxes and curiously, unmarked, brown cardboard boxes. Depicted in images shown above, Brain believes that the unmarked boxes are in-fact the new iPhone Steve Jobs is rumored to announce at WWDC on Monday. 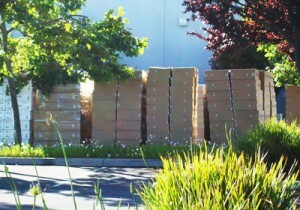 Based on intelligence uncovered by ImportGenius.com, 19 shipments weighing between 3,700 and 6,500 kilograms passed through the Port of Oakland to a Quanta distribution center in Fremont, Calif over the past few weeks. During his visit to the distribution center, Brain watched as employees “hustled to maneuver pallets of the brown boxes around trucks from FedEx and Advanced Logistics”. 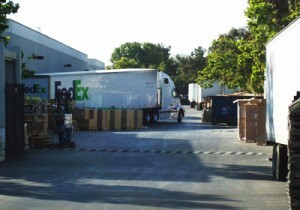 When asked about the new iPhone, one Quanta employee called the shipping supervisor who was “really busy right now”. 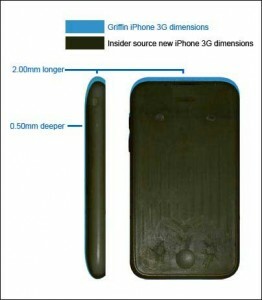 Meanwhile, iDealsChina believes that the new iPhone dimensions have changed. Apparently the new dimensions are thinner, by .50mm (~.02 inches) and shorter by 2.00mm (~.08 inches). iDealsChina was also the source behind the Griffin case leak last week, therefore it is hard to determine whether this new information is legitimate. iDealsChina claims that four other case manufacturers had access to the same specifications, so these companies will be forced to either sell the thousands of loose fitting cases or destroy them. It should be noted that Apple goes through great lengths to keep new product information very secretive. This years Worldwide Developers Conference kicks off with a keynote from Apple, Inc CEO Steve Jobs on Monday, June 9th. Steve Jobs is expected to release an updated iPhone with 3G capabilities. Stay with theiLife.com for continuing coverage of pre-WWDC rumors and hype; and during WWDC for our liveblog of the keynote. If you want to be updated with urgent news from the keynote, sign up for our SMS updater (expect about 10-20 messages)!